Unidentified Aerial Phenomena sightings were reported over Arizona, Arkansas, California, Florida, Idaho, Illinois, Maryland, Massachusetts, Minnesota, New Jersey, New York, Texas, and Virginia. Unidentified Aerial Phenomena sightings were reported over Belgium, Canada, India, Italy, Ireland, Philippines, and England in the United Kingdom. Astronauts and NASA personnel have revealed that UFOs and aliens were seen when we landed on the Moon. 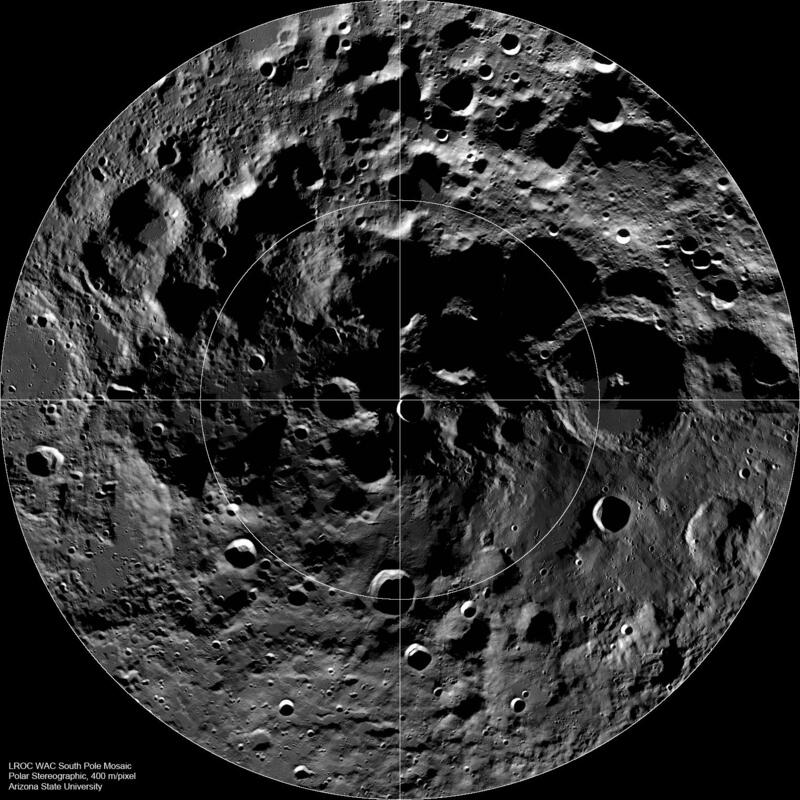 The attached face gives you an idea of their appearance that is part of a Moon structure near the South Pole region. Here are some interesting discoveries Scott C. Waring made on our moon. As you can see, there are two glowing UFOs in the distance far behind the astronauts on the Apollo 15 mission. The Apollo 15 mission was the fourth mission to walk on the moon. The UFOs were bright and similar to a lot of the UFOs seen around Earth daily. They have also been seen over Temple Rock and the mountains of Denver, Colorado. This is 100% evidence that Astronauts did see UFOs during the moon walks. Reports indicate the craft landed near the astronauts and the aliens walked around their craft but did not appear aggressive. David Scott and James Irwin flew their LM to a perfect landing at 6:16 P.M. EDT July 30, at Hadley Rille. Landing approach over the Apennine Range – one of the highest on the moon – was at an angle of 26 degrees, the steepest approach yet used in Apollo missions. During three periods of extravehicular activity, or EVA, on July 31, and August 1 and 2, 1971, Scott and Irwin completed a record 18 hours, 37 minutes of exploration, traveled 17.5 miles in the first car that humans have ever driven on the moon, collected more than 170 pounds of lunar samples, set up the ALSEP array, obtained a core sample from about 10 feet beneath the lunar surface, and provided extensive oral descriptions and photographic documentation of geologic features in the vicinity of the landing site during the three days (66 hours, 55 minutes) on the lunar surface. On August 2, 1971, LM Falcon fired its ascent stage engine and lifted off the moon for its rendezvous with command module, and put Apollo 15 on its path back to Earth. A UFO crashed through the Arctic ice 6 years ago, and has been operating in the Arctic sea ever since, according to newly released documents made available from State Dept. e mails, by way of the FSB’s Wikileaks division. The villagers of Igloolik, Nunavut were asleep when a streak quickly crossed the sky and struck the ice with a bang. 200 villagers came out their doors, but there was nothing to see except black water steaming and bubbling through a round, 10 meter hole in the ice. It was a night late in November 2010 and no one wanted to linger long outside in the middle of a dark night. The truth of what had happened was almost unimaginable. A UFO crashed through the Arctic ice 6 years ago, and has been operating in the Arctic sea ever since. This according to newly released documents made available from State Dept. e mails. This is not the first time that the Canadian Navy has been forced to investigate UFO phenomena. The Shag Harbor UFO incident was the reported impact of an unknown large object into waters near Shag Harbor, a tiny fishing village in the Canadian province of Nova Scotia on October 4, 1967. At least eleven people saw a low-flying lit object head towards the harbor at about 11:20 p.m… Multiple witnesses reported hearing a whistling sound “like a bomb,” then a “whoosh,” and finally a loud bang. The object was never officially identified, and was therefore referred to as an unidentified flying object (UFO) in Government of Canada documents. The initial report was made by local resident Laurie Wickens and four of his friends. Driving through Shag Harbor they spotted a large object descending into the waters off the harbor. Once at a better vantage point, Wickens and his friends saw an object floating 1000 feet offshore. Wickens contacted the RCMP detachment and reported he had seen a large airplane or small airliner crash into the waters off Shag Harbor. The Canadian military became involved in a subsequent rescue/recovery effort. Assuming an aircraft had crashed, within about 15 minutes, 10 RCMP officers arrived at the scene as the object started to sink and disappeared from view. But by the next morning, the RCMP had determined that no aircraft were missing. Divers allegedly claimed they spotted a UFO conducting repairs at the bottom of harbor. The cause of the incident was never solved by the Canadian authorities. The Baltic Sea anomaly is a 60-metre diameter circular rock-like formation on the floor of the northern Baltic Sea that emerged in June 2011. As he spoke to astronauts on the International Space Station on Monday, President Donald Trump has ordered the Central Intelligence Agency and National Security Agency to review and release all files concerning space aliens and Unidentified Flying Objects or UFOs. Trump promised to take this step in his inaugural speech. He said: “We stand at the birth of a new millennium, ready to unlock the mysteries of space, to free the Earth from the miseries of disease, and to harness the energies, industries and technologies of tomorrow. It comes as a surprising development to some, as Trump hasn’t commented on the issue of extraterrestrial life and has never before specifically said that confidential UFO sighting papers should be released. Talking to Astronaut Peggy Whitson on the ISS, however, Trump recommitted NASA to a Mars mission during his second term, i.e. the early 2020’s. During her campaign Hillary Clinton made it clear she would do all she could to release secret files on UFO’s. Of course, her husband Bill Clinton made the same promise and never did. The truth is still out there. Commander Graham Bethune is a retired Navy Pilot and a good friend. During his 26 years of active duty he qualified in over 100 different models of aircraft. In February 5, 1951, he and two other Navy Pilots were sent to Keflavik, Iceland on a Secret mission to meet with the Icelandic Government and Lockheed Overseas, who managed the Airport. On February 10, 1951, while Piloting a four engine Navy R5D Transport returning from Keflavik, to Argentia, Newfoundland, he had an eight minute encounter with an “Unidentified Flying Object” that was 300 feet in diameter. The first chapter of Major Keyhoe’s book “Flying Saucers Top Secret” is devoted to this famous encounter. During the Disclosure Project, Commander Bethune revealed his Flight 124 from Keflavik, Iceland was involved with a near miss of a UFO in 1951, about 300 miles outside of Argentia, Newfoundland, over the Atlantic Ocean flying a R5D aircraft. Here is Graham’s account of his sighting. When we landed at Argentia, an Air Force officer interrogated us and showed us photos of UFOs asking me to choose the type we had seen. He made a good report, which went to the headquarters of the Air Force in Washington, D.C. Commander Bethune flew Naval Transports for 12 years, and was a “VIP Transport Plane Commander,” and held a “Top Secret” clearance. He was a test pilot and served six years with the Naval Bureau of Aeronautics. He accumulated over 10,000 Navy and civilian flying hours. He flew the Secretary of the Navy, Secretary of the Army, Chief of Naval Operations, Commandant of the Marine Corps, the Supreme Allied Commander, and the NATO Commander Admiral Lynde McCormick, and numerous admirals. If a UFO crashed or an important meeting concerning UFOs occurred he would be chosen to pilot the VIPs to their destination. Commander Bethune mentioned he flew high ranking officers to Utah where a 100 foot’ in diameter and slightly oval craft had crashed. There were US Air Force, Army and Navy officers in attendance as well as scientists and academics from various stateside universities. Both discs were retrieved and brought back to Wright Patterson. Col. Donald Ware shared, “Graham personally told me that he flew General George Marshall and high ranking Naval personal and scientists to two crash retrievals – one in Iceland and one in Utah.Frank Chili sent me this photo that was given to him by Commander Bethune. He was quite insistent that US Air Force was getting the focus of UFO attention from the public, but the real player in this and always behind the scenes was the US Navy. Graham was informed by Admiral Forney himself and Graham never doubted that a ploy was set-up to divert attention away from the Navy. Graham also claimed we had a base on the moon and we had a Navy space shuttle fleet. He felt truth is often stranger than science fiction that ET movies are supported by the government to create acceptance. Graham confide in Donald M. Ware, Lt Colonel USAF (Ret), who was for ten years Florida State MUFON Director and former Eastern Regional Director — then 18 years as a Director of the International UFO Congress. They discussed Alien-Human Hybrids, underground bases, and the levels of consciousness to contact alien spirits. Lt. Colonel Donald Ware mentions that Commander Bethune had informed Ware that he had flown Admiral Byrd to Antarctica in 1945 in a secret mission. On this flight were US Navy high ranking personnel, British Naval officers/scientists and some US scientists. However, the Visitors interceded stating – that this technology violated a prime directive – that it could not be used for purposes of warfare. The Visitors told the Germans that they could use this technology but not for World War II and were given the option of moving the discs to a base in Antarctica, which is what they did with Hitler’s approval. When Admiral Byrd reached Antarctica he attempted to negotiate with the German scientists to participate in a cooperative sharing their advanced technologies! The meetings went very badly and the Germans absolutely refused to share any technology with the US and British governments. Graham told Colonel Ware that Admiral Byrd needed to get this awful turn of events back to the Pentagon – to report directly to those who tasked Byrd with this mission. Graham flew Byrd back to the Pentagon, wherein he told of the non-cooperation by the Germans. The resulting failure of that initial meeting with the Germans in Antarctica set into motion the gears for a naval military action to force the Germans to share the technology. Consolidating and extending the United States’ sovereignty over the largest practicable area of the Antarctic continent (publicly denied as a goal even before the expedition ended). Allegedly the Task Force was attacked and took heavy casualties. Naval ships and personnel were withdrawn back to the United States in late February 1947, and the expedition was terminated due to the early approach of winter and worsening weather conditions. Graham did not participate himself in the action of Highjump himself. Admiral Richard E. Byrd warned today that the United States should adopt measures of protection against the possibility of an invasion of the country by hostile planes coming from the Polar Regions. The admiral explained that he was not trying to scare anyone, but the cruel reality is that in case of a new war, the United States could be attacked by planes flying over one or both poles. Colonel Ware claims a new disclosure campaign with military aviation is involved. Most people are not aware yet that between 1943 and 1947 the US Government, with the help of our British and Canadian allies and the Ambassador from Venus and 450 of his trained engineers built 500 discs with gravity motors in a hidden 300 square-mile valley in British Columbia, Canada. Thanks to the Disclosure Project and Frank Chili and Don Ware. Bunnell was a NASA and aerospace engineer, who were convinced that all UFO lights were natural atmospheric phenomena that he wouldn’t look at my evidence which showed that some sightings were physical objects operated by intelligent life. Alien visitation scared him. Three separate witnesses in the Chicago area reportedly spotted an enormous flying creature that some have likened to the legendary Mothman entity. According to Roger Marsh of MUFON, who received the reports, the sightings all occurred during a four-hour period on an evening in mid-April. The first known appearance of the creature occurred around 10 PM when the initial witness says that she and her husband as well as a pair of friends noticed what looked like an enormous bat flying over them while they were out on Lake Michigan. She speculated that the monstrous flying beast was around six-and-a-half feet long and possessed eerie eyes that glowed in the moonlight. Although the mysterious creature departed rather quickly, the group then saw a bright green UFO skim across the sky. They had an overwhelming sensation of dread. Thirty minutes later when a group of people noticed a huge owl-like creature that looked to be six feet tall and had glowing red eyes. The scene was so strange that they speculated that it could have been a Lechuza, which is a legendary shape shifting entity in Mexico that transforms from an old woman into an owl. In the final report, a man and his co-workers saw the creature at around 2 AM,. The flying ‘thing’ was nearly seven feet tall and was jet black aside from bright yellow eyes. The creature made everyone feel “very uneasy” and some co-workers actually threw rocks at it! Although the reports could be hoaxes, last year Chicago had 700 murders and in 2017 has 200. Mothman has often been associated with tragedy. For example, Mothman sightings continued for months in Point Pleasant, West Virginia and came to a head on December 15, 1967, with the tragic collapse of the Silver Bridge. Forty-six people died when the bridge collapsed, which connected to Gallipolis, Ohio. Speculation is that Mothman may provide warning or actually create the deaths. Shockingly Close to the Truth, Barker died on December 6, 1984, at age 59 from the simultaneous failure of various organs, in a Charleston, West Virginia, hospital. In 2002, The Mothman Prophecies is a American supernatural horror mystery film directed by Mark Pellington, based on the 1975 book of the same name by parapsychologist and Fortean John author Keel. The film stars Richard Gere as John Klein, a reporter who researches the legend of the Mothman. CMS continues to amass sighting reports from around the globe. In April 2017 there were 529 sightings reported to MUFON through CMS from the following countries; US 343, UK 75, Canada 49, Colombia, Australia 6, India 6, Sweden 3, and Ireland 3. National UFO Reporting Center had 334 sighting reports in April. Yuma — Sitting outside on the porch I looked up and saw blinking light on April 24, 2017, .I thought I saw it moving was not sure but I use the telephone pole and wires to use as a guide to make sure I was seeing it move. San Jose — I went outside around 3 AM staring at the sky on May 2, 2017. I noticed a star moving around and realized there were more moving lights. Some were larger than others and it seemed like the smaller ones were connected to the larger ones and kind of blue. I noticed that the movements of the two were matching. Foggy clouds came rolling in from the north that looked like the smaller blue objects were dissipating the clouds. Gambrills — Between 7:35-7:40 am, on the morning of April 27, 2017, as I was driving north on I-97 halfway between Annapolis and the MD-32 exit, I saw a long, reddish-brown, pencil-shaped cylindrical object that appeared to have been launched,” and was ascending slowly into the sky. This object appeared to be about five miles straight ahead of me, and approximately 1000 feet in the air and climbing slowly. Beneath it appeared to be a black plume of smoke; within the smoke were flashing lights. As I was staring at this object, a passing cloud obscured it completely. I was waiting for it to reappear, but when the cloud passed, the object had completely vanished. Bridgewater — I just got home at night and I looked up at the sky on April 4, 2017, when I noticed the object, I was surprised to see an oval-triangular object. The object was moving west to east. When it got over my house, it hovered for a while. I looked at it, for a long time. After a few minutes I went inside and when I looked outside it had vanished. Bloomington — I saw this ring of lights last night on April 29, 2017. The lights were in the western sky, and it was an overcast night. The ring of lights was stationary and did not move at all for many hours. The lights were coming from behind the clouds. Manhattan — I was taking picture of the building from the Ground Zero Memorial on April 23, 2017. I recorded three images in rapid succession. One image displays an object. Thanks to MUFON CMS Note: A possible bird. I caught sight of the object and watched it only for 30 seconds before realizing that it wasn’t a plane, helicopter, or hot air balloon and ran into the house and grabbed my cell phone as it was the closest camera available. The object first appeared to be about 700 feet high, but as the object had moved into the background of my house it appeared to be gaining altitude, I snapped three photos as it passed beyond the peak of the roof over my bedroom, moving southeast towards Manila. The object made no sound at all, and it had no visible lights of any kind, it seemed to be moving about the same speed as a small plane at first and was completely out of sight in about 3 minutes or less, apparently gaining speed. When I first looked at the pictures, I thought I missed it, as it looked like a speck of dust or dirt, I then downloaded them to my desktop computer and cropped the photos, and then I could see better detail. I was a bit stunned when saw it, as I had never seen any craft like this before, and it clearly had a some type of leg structure for landing. Three pictures were taken, and numbered in the order taken, the best being the first picture. Bridgwater, Devon — I was at the Bridgwater Carnival taking photographs of the procession when I spotted two strange objects above the float on November 7, 2015. I quickly took a photograph about 9:15 PM and the two objects moved away and flew over a nearby house when I lost sight of them. When I got home and looked at the photograph I could see that there were four strange objects in the photograph.